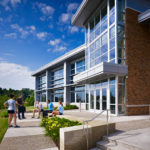 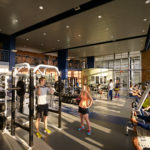 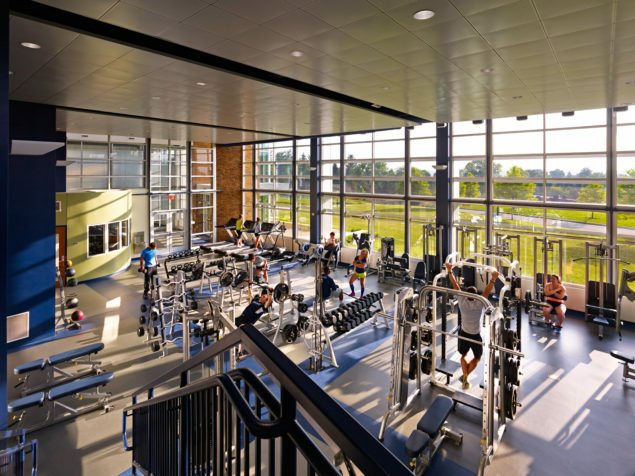 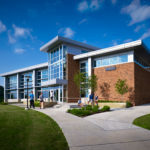 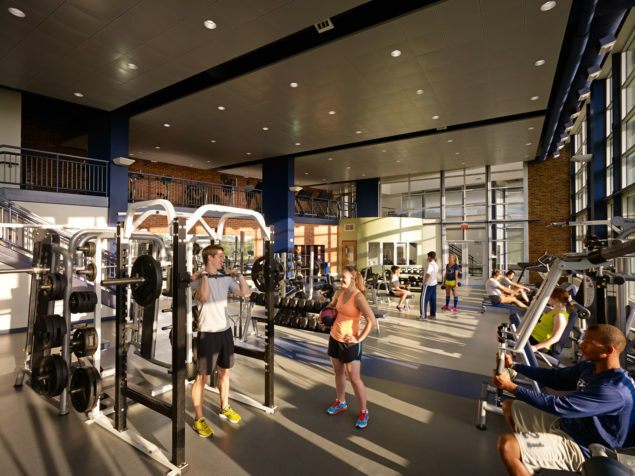 Cardiovascular, plate-loaded and free weight equipment enjoy a northeast-facing glass exterior that provides impressive views of campus and showcases the center’s activity to campus. 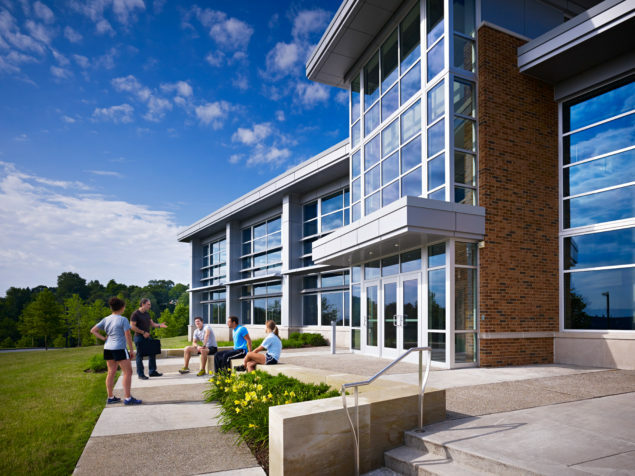 High-performance glazing in combination with interior and exterior shading devices control solar heat gain and provide natural light while maintaining views to the exterior. 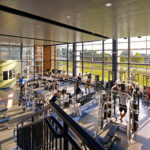 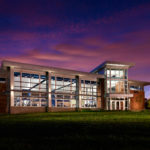 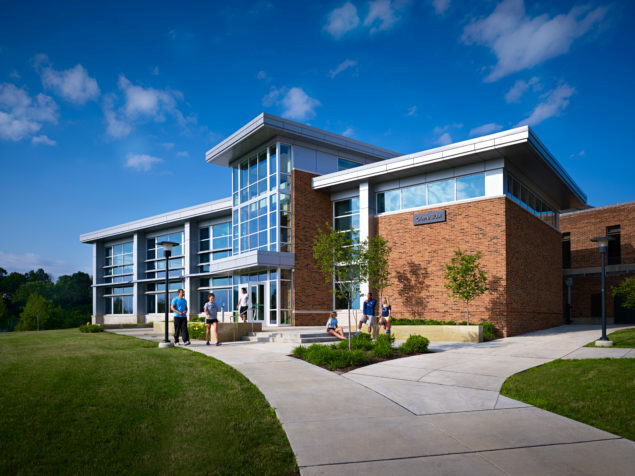 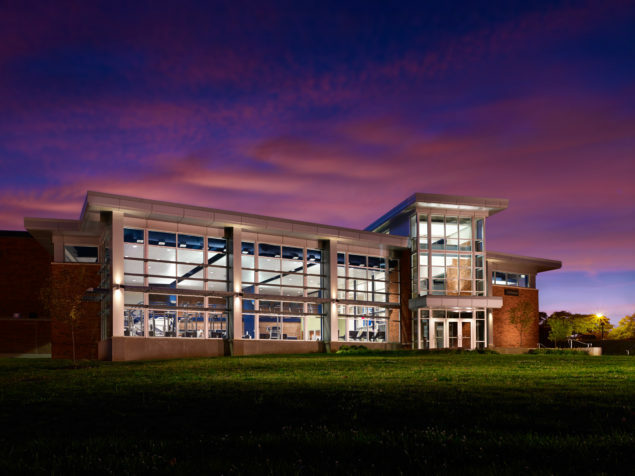 The two-story glass entry physically and visually integrates the renovated fitness center into the overall recreation center.